(CNN) - Today is Holocaust Remembrance Day; calling to mind those who suffered, died and survived the Holocaust of Nazi Germany. Rubin and her sister Rita were barely teenagers when their family was taken out of their Romanian home in 1940 by Nazi soldiers. After their parents, grandparents and brother were killed, they were moved from concentration camp to concentration camp ending up at Auschwitz, in Austria. Serena and Rita were liberated by the Russians in 1945 and eventually made their way to the U.S.
They’ve been working with the legal aid group, Bet Tzedek (House of Justice), to secure proper reparations from the German government. In 2009 a German court ruled that survivors get regular pensions. But it’s not much. Serena and Rita receive about 300-dollars a month. The German finance ministry says the German government has paid an estimated 91 billion dollars in reparations and pensions since 1951. It's estimated that around 500 thousand holocaust survivors are still living today. (CNN) - Musadaq Alsamawi was able to escape Iraq with his family in 2009. He lived there all his life and, before the U.S.-led invasion in 2003, he was a farmer and veterinarian living in southern Baghdad. 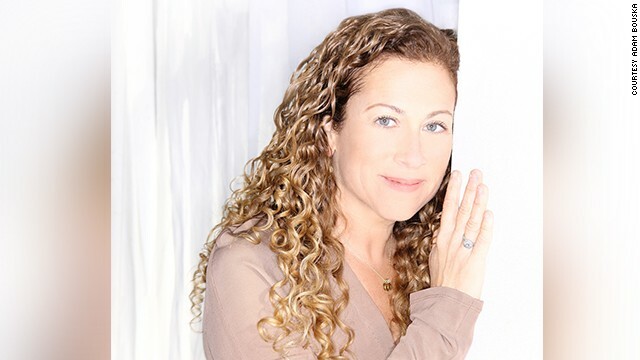 (CNN) - Before you click play on our conversation with best-selling author Jodi Picoult, ask yourself this: Would you forgive Ieng Sary? (CNN) - We love to hear war stories about epic battles or crack troops like Seal Team 6, the elite Navy unit that brought down Osama bin Laden. But there is another side of war that’s seldom explored: Why do some soldiers risk their lives to save their enemies and, in some cases, develop a deep bond with them that outlives war? Stories about the bond that surfaces between enemies have been told for centuries. One such story in particular involves a German and American pilot who met as enemies over the skies of Europe during World War II but reunited as brothers 50 years later. Listen to our story in the player above and read the full story here.